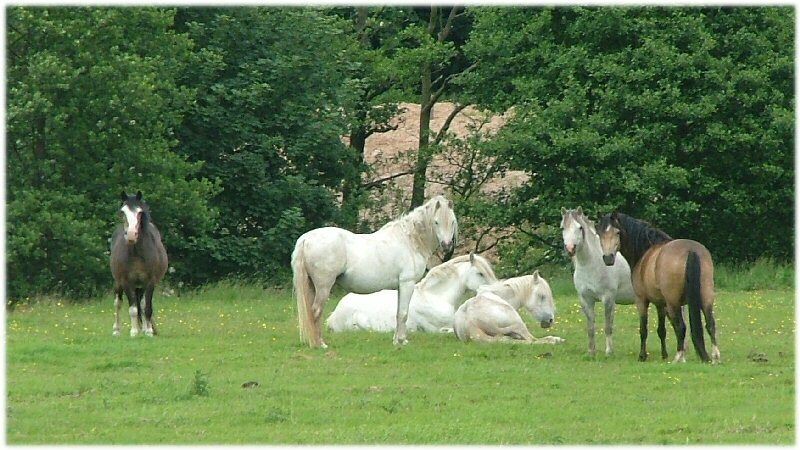 Started in 1991 with the purchase of a lovely old mare in foal the 'Runshaw Stud' of Welsh Mountain Ponies , a family run passion for these lovely ponies. Although a 'stud' we are very much hobby breeders passionate about preserving such lovely ponies of what we feel traditional stamp, type and movement for future generations to enjoy while trends come and go. Due to not being a business there are not ponies for sale annually to make a profit, in fact far from it! The ponies cost us a considerable amount of time, money, blood sweat and tears but we only have to lean in the gate and watch , what we feel, a beautiful bunch of ponies both bought in and bred to know we wouldn't change thing. To this end too none of the ponies are pushed for a quick sale and in fact most are retained with just a select few available to lovely homes due to each individuals circumstances. Here at Runshaw we are firmly based on the successful and consistent bloodlines of the famous Coed Coch stud of Abergele ,North Wales. We hope in time to emulate some of the best bloodlines and hopefully breed some of the traditional Welsh Ponies, the likes of yesteryears champions that made Coed Coch so influential even to this day, 31 years after its dispersal. 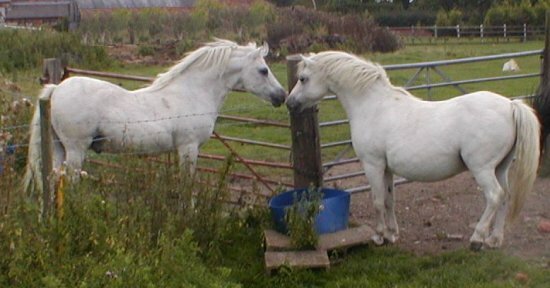 We have a heavy influence here at Runshaw through the famous ponies Coed Coch Salsbri and Coed Coch Siwan whose offspring have become legendary through Coed Coch Bari, Saled, Swyn and Siwrnai. Possibly the most exciting stallion we bought is the multiple medal and Royal Welsh Show winning stallion Churtoncroft Aries again a grandson of the legendary Coed Coch Bari and everything we hope to breed and achieve here at Runshaw. The arrival on lease of Coed Coch Atebiad (Coed Coch Salsbri x Coed Coch Ateb) from the Churtoncroft Stud in 2003 and who has crossed immensely with the Coed Coch Superstar offspring has given us some lovely young homebred mares for Aries and Sior in the future and 2 prospective young stallions for Aries and Sior's fillies. Hopefully these combination of carefully selected bloodlines may just be the winning formula that when crossed within the breeding program will breed the ponies of the calibre that Coed Coch did all those years ago. Early attempts have proven to be successful in the production of our homebred filly Runshaw Heulwen by Churtoncroft Aries and out of Standwell Heidie (daughter of Coed Coch Superstar) who had a great show season as a yearling , wpcs bronze medal winner as a 2 yr old and then as a 3 yr old Overall Section A Champion at Lampeter Stallion Show and WPCS Silver Medal winner, Reserve Supreme Welsh Youngstock at Cheshire County and many many other superb wins in top company! We hope you enjoy looking at our ponies on the website as much as we do looking at them here in the fields. They give immense pleasure and a hobby that has become a way of life with such beautiful outcomes. Pictured below is Coed Coch Barnwr at 32 years old with his 20 year old daughter Pinina Roulette, August 2003.